Honors Legacy is a modern wooden boat that gives you an opportunity to dive at blue waters around Maldivian atolls in a friendly atmosphere of the experienced team. Honors Legacy can accommodate 18 passengers. All cabins are modern and light made with divers need in mind. There are 7 superior cabins, located on the lower deck and 2 ocean view suites on the upper deck. All rooms are ensuite, there are an individual air-conditioning and mini bars, safes for personal belongings and TVs in all cabins. Ocean view suite also offers an amazing view of breathtaking Maldives. Honors Legacy Liveaboard has a spacious lounge area featured with a bar. Divers can relax on comfortable sofas, watch a movie, have a chat with other passengers or sing a favorite song at karaoke. Also, guests of Honors Legacy can spend time on the sun deck. It’s hard to find another destination with such gorgeous sceneries as Maldives. Enjoy the view from boats sun deck, get some sun or relax in the shade. In addition, a boat has a jacuzzi, ideal to spend time in between dives. Big comfortable diving dhoni will transport you to the dive sites. It has the necessary equipment to make your preparation for diving comfortable including compressors, tanks, and weights. All gear storages are on the dhonie. One of the main priorities of Honors Legacy team is safety. The boat can provide with all necessary equipment like life jackets, life buoys, fire alarms & extinguishers. 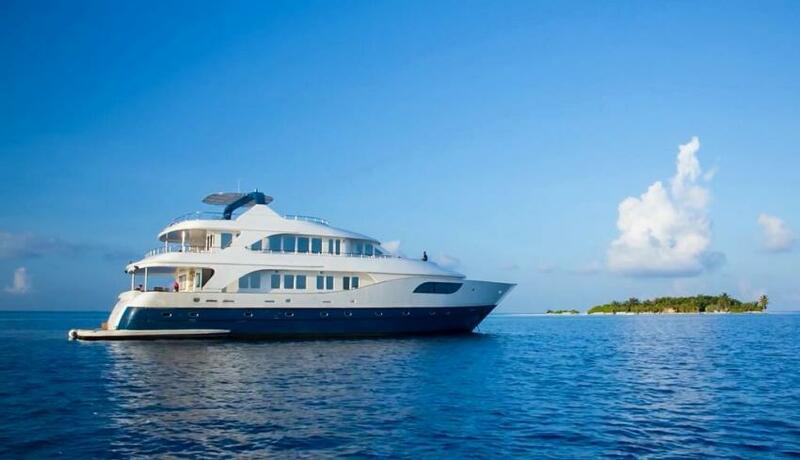 Honors Legacy’ itineraries include diving on North Atolls of Maldives, visiting of Central atolls. Divers will visit North and South Male Atolls, dive along the coral reefs of Sri Atoдols. This particular destination is a true paradise for diving with pelagics. Whale sharks and hammerheads can be often spotted here. Honors Legacy has a special trip dedicated to diving with pelagics. One of the main features of Maldives, great destinations for diving with mantas. During the Majestic Mantas trip, divers will get a chance to visit Baa and Dhigala Haa to meet this gorgeous creatures. Diving on Maldives atolls is possible all year round. Best conditions are from November to May. December to May is a period of northwest monsoon with strong currents.